Achla Birding Pole Extension, Black, 12"
Increase the height of your existing Achla Birding Pole with this Achla Black Birding Pole Extension. This convenient, wrought iron shaft is specifically designed to attach to an Achla Birding Pole (not included), providing you an extra 12" of height for a fantastic birding station. Its flared base slides overtop of the 1" outer diameter of your existing Achla pole, and a small hole on the top of this tube helps secure another pole section or flange to it. The black, powder coated finish on this unit prevents wear, and its wrought iron construction lasts for many seasons. 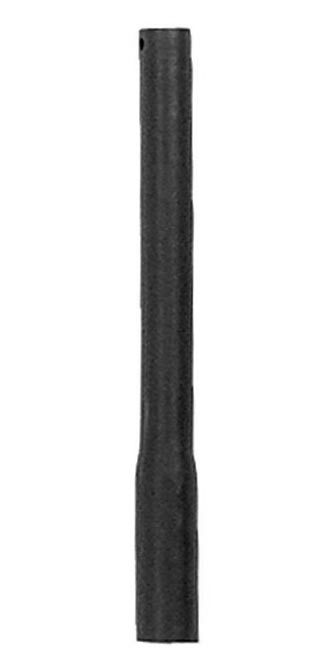 Add height to your existing Achla Birding Pole with this Black Birding Pole Extension. Achla Birding Pole Top Section with Two Holders, Black, 28"
Achla Birding Pole Extension, Black, 24"
Achla Birding Pole Top Section w/ Three Holders, Black, 28"
Achla Birding Pole Top Section with Four Holders, Black, 27"
Droll Yankees Pole Section, Black, 22"